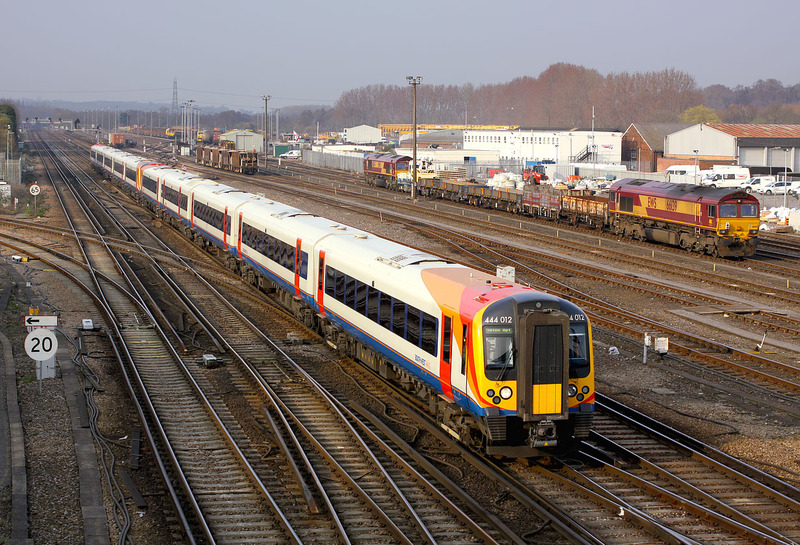 444012 & 444020 arrive at Eastleigh with the 15:05 Waterloo to Southampton Airport Parkway South West Trains service on 21 March 2009. 66139 & 66174 are stabled in the yard in preparation for the following day's engineering work. Eastleigh is a shadow of its former self and despite the large amount of surviving track very little freight traffic is now to be seen here.